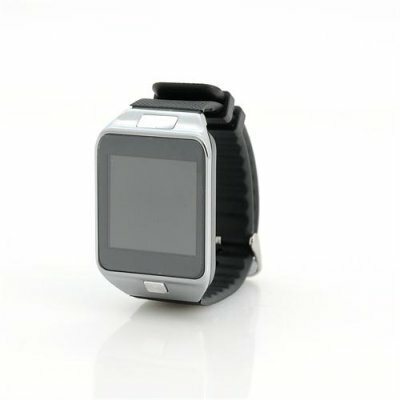 Successfully Added Smart Bluetooth Watch - 1.5 Inch Touch Screen, MTK2501 CPU, Support Dialer, SMS + Phonebook Sync, Remote Camera, Sleep Monitor to your Shopping Cart. 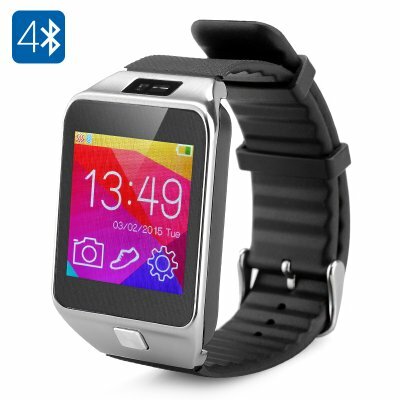 This Smart Bluetooth 4.0 Watch has a 1.5 Inch Touch Screen, MTK2501 CPU, Supports Dialer, SMS and Phonebook Sync as well as a Remote Camera and a Pedometer in addition to a sleep monitor. This excellent smart watch uses the latest technology Bluetooth 4.0 and can be worn at home or in the office, 24 hours a day, 7 days a week. There is a HD highlight capacitive touch screen, offering a resolution of 240x240 showing all content absolutely clear. There is even a built-in pedometer, time to record motion information from you, to let you know about the amount of steps taken at any time. Synchronize with your phone’s contact phonebook function so you can directly see the mobile phone contacts on the watch as well as being able to see your mobile phone call records and therefore able to dial directly . The smart watch has a built in 8 Ohm / 0.5W speaker so you can roll up your sleeve when you receive a call and talk directly into the watch instead of searching through your pocket or bag every time your phone rings. Download the Android supported app to find exact data in addition to easy management of the smart watch’s pedometer and sleep monitor. This product is in stock now, we guarantee next working day shipping and offer a 12 months warranty on all our products. Brought to you by the leader in electronic devices as well as wholesale Bluetooth Smart Watches, Chinavasion.